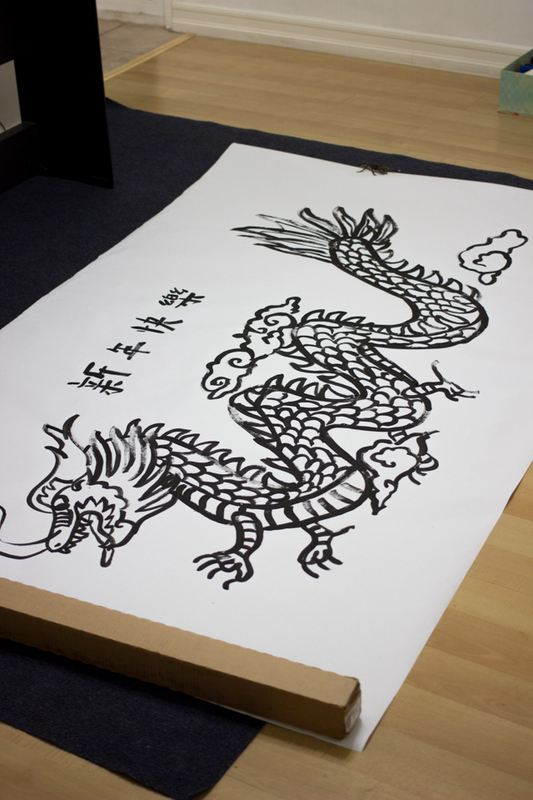 To prepare this activity, I drew a giant dragon using black acrylic paint on a roll of drawing paper the night before. 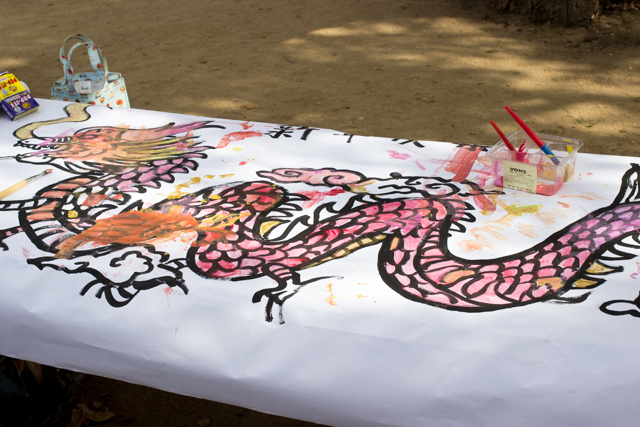 Then, we taped it to a picnic table and provided the kids with tempera paint. 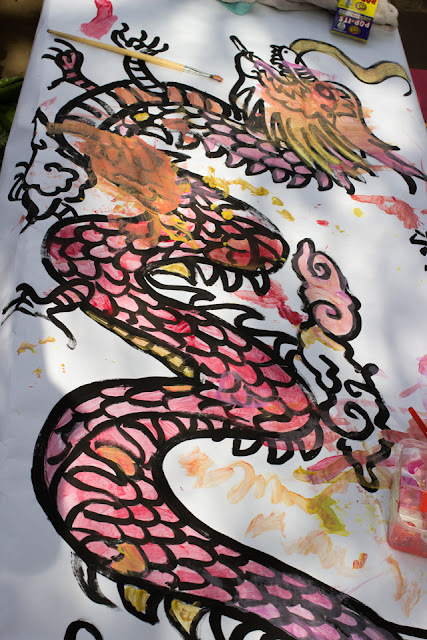 Threw snap poppers on the ground to imitate "fireworks"
Happy Lunar New Year friends!